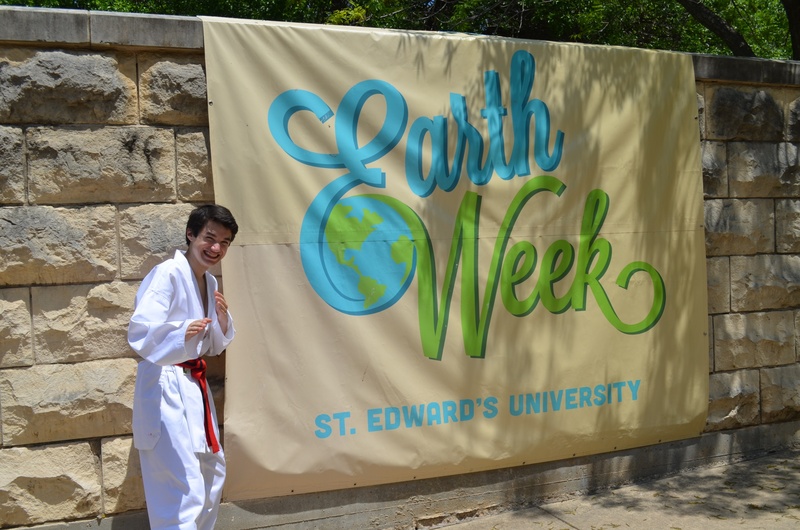 I was honored to be invited back to St. Edward’s University to celebrate Earth Day 2014 with them this spring. 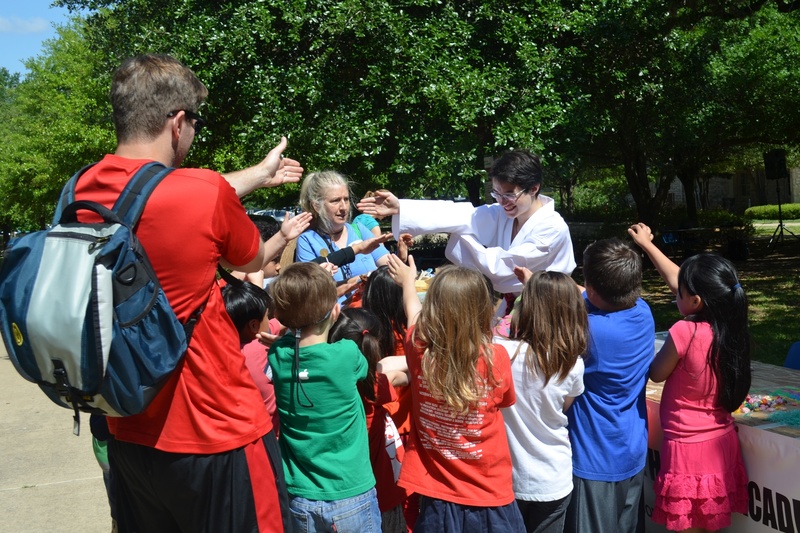 I brought my Invasive Hunter Academy along with me and entertained 200 kids on a field trip from Travis Heights Elementary School. As always, the kids enjoyed going through the Academy and graduating as official Invasive Hunters. 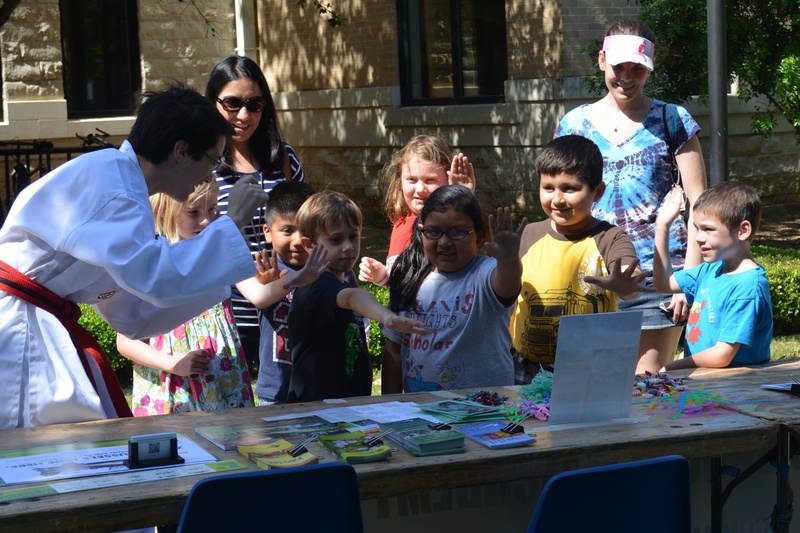 Upon graduation, the kids loved picking out a nature prize along with some candy to fill their field trip goodie bags! And of course they each received their official “I’m an Invasive Hunter” sticker. Who doesn’t love stickers?!? And let’s not forget about swallow hand stalk strike! I see an invasive plant going down! 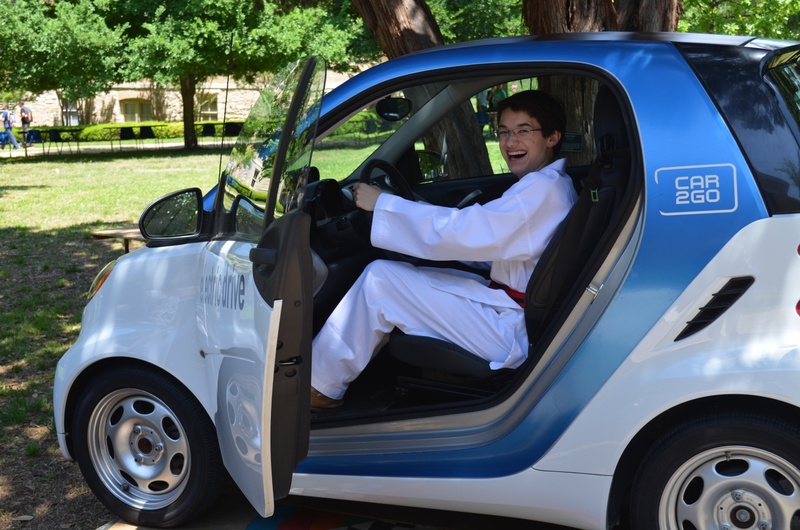 On a quick break, I visited the Car2Go booth and decided to sit in the car and get a feel for what it’s like to be behind the driver’s wheel…especially since I’ll be getting my driver’s license soon! Now is the time for all invasive hunters to dance! 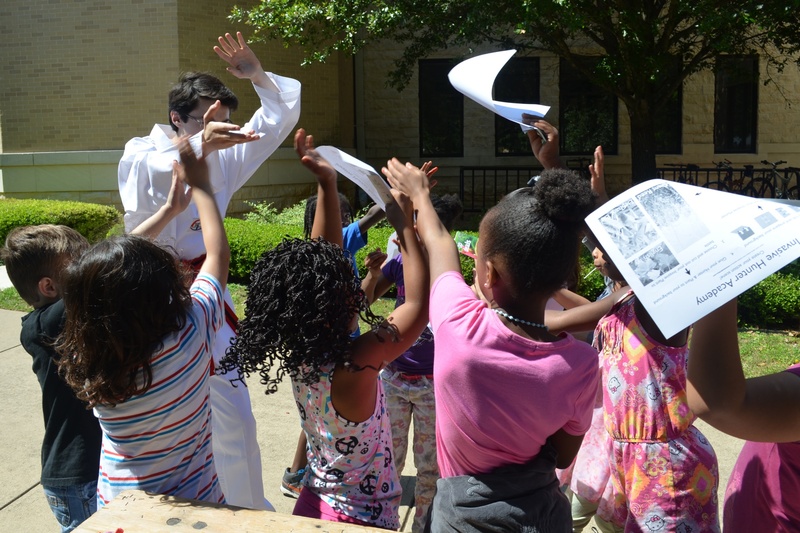 And just when I thought Earth Day was winding down, the music cranked up, thanks to Topper Radio, and I led a dance party with all the elementary kids. It was so much fun and a great way to end the day. I think we’ll have to add a new move to the Academy to take out invasives. Maybe a dance move…and we’ll call it the invasive stomp! 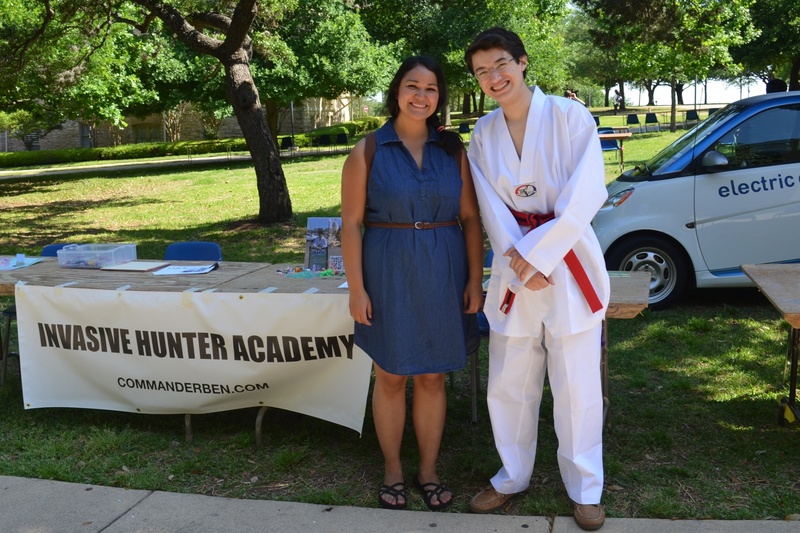 Thanks to Phoebe Anne Romero for inviting me to bring the Invasive Hunter Academy back to St. Edward’s for this year’s Earth Day celebrations! 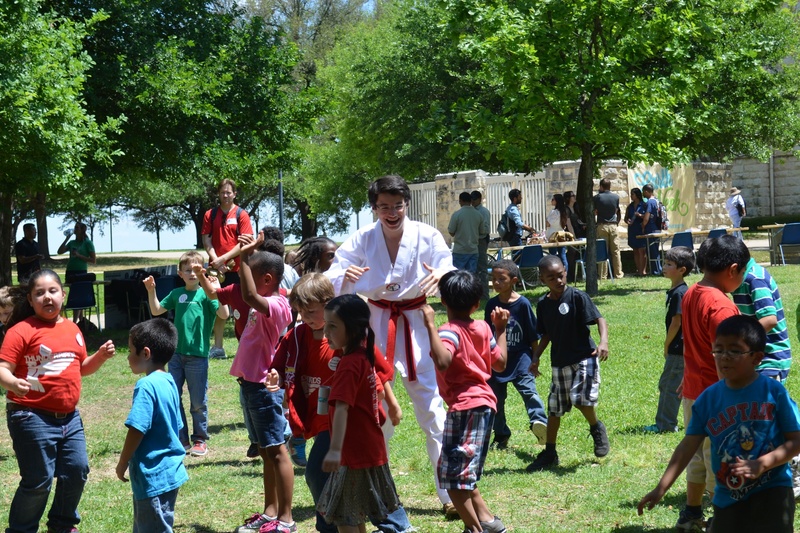 I had a lot of fun with Austin’s young naturalists! It’s been a summer of adventure for me! I hope you’re having a great one too! 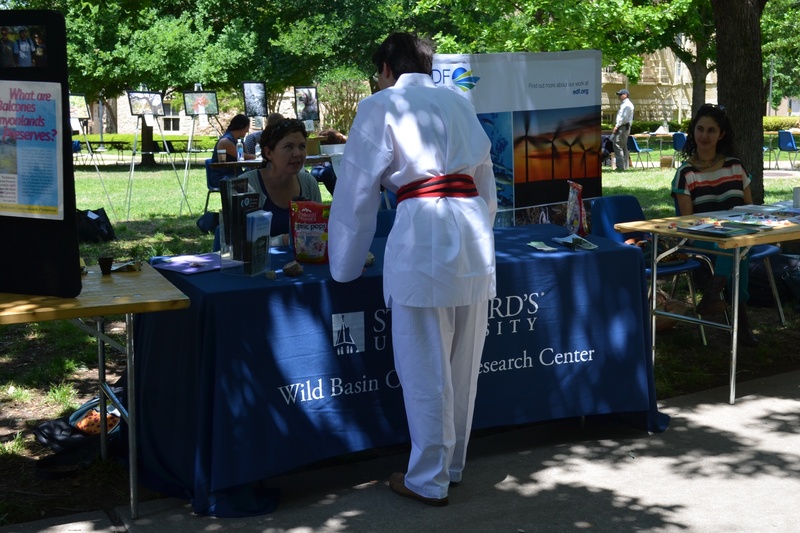 If you love nature and you’re in Austin tomorrow, April 22, 2014, join in the “Our Place in Space: Sustainability, Stewardship and Community” – Earth Week 2014 festivities at St. Edward’s University. 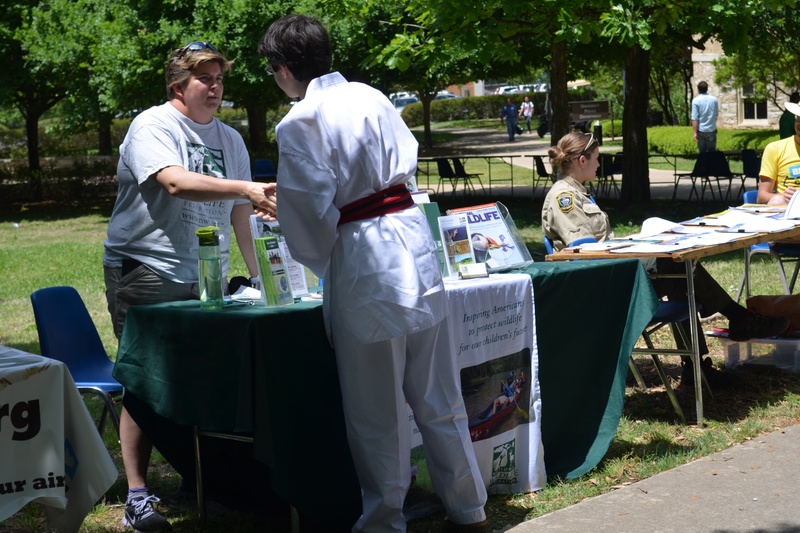 There will be lots of environmentally friendly organizations, including the Texas Commission on Environmental Quality, Car2Go, Sierra Club, ecoRise, LCRA, Wheatsville Food Coop, and Austin Youth River Watch. They’ll have lots of information and fun events. 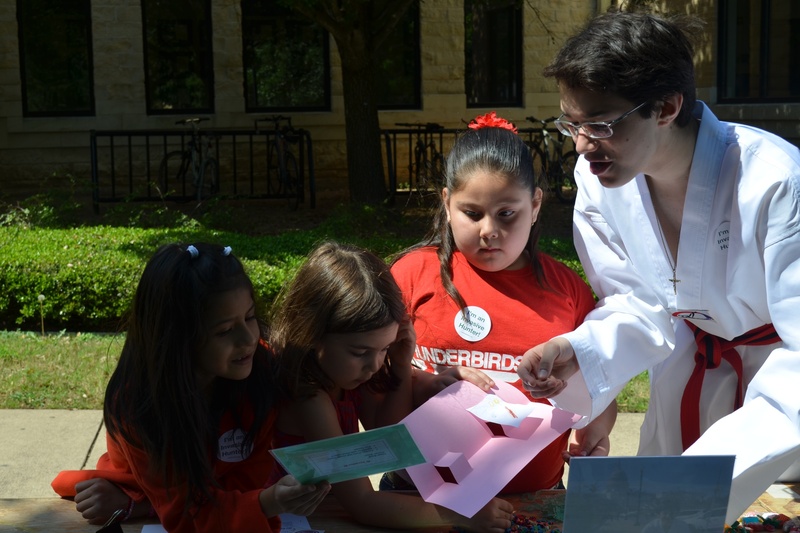 I’ll be helping to teach kids from nearby elementary schools about invasive species with my Invasive Hunter Academy. 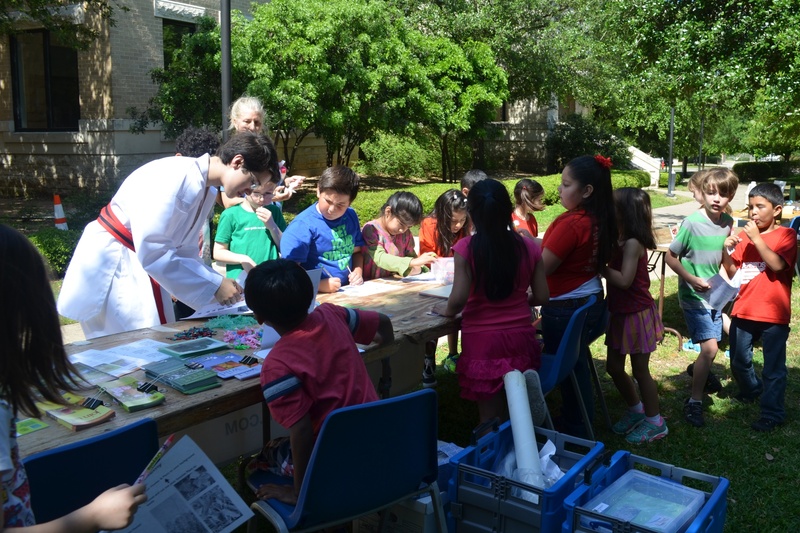 Get ready, Austin invasive plants! There are going to be a lot more Invasive Hunters ready to help to protect our native ecosystem after tomorrow. 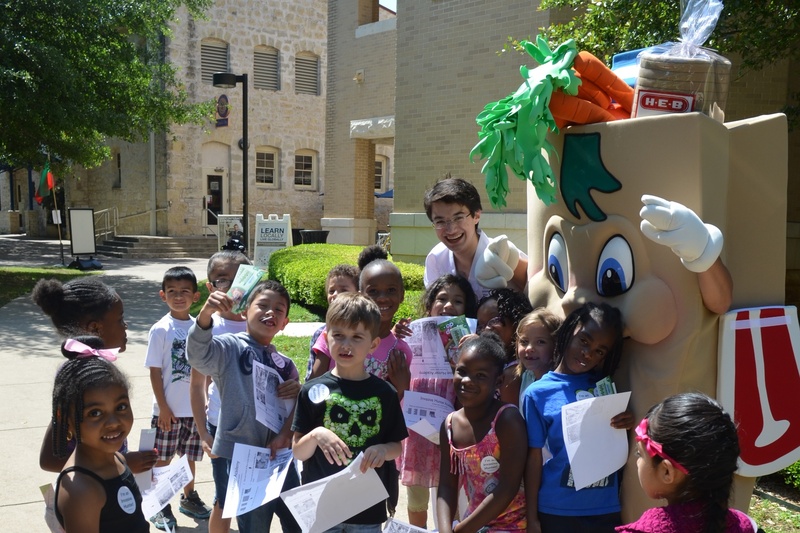 Thanks to Ms. Phoebe Anne Romero with St. Edward’s University for inviting me to join in their Earth Week fun! And thanks too to HEB, our local grocery store. 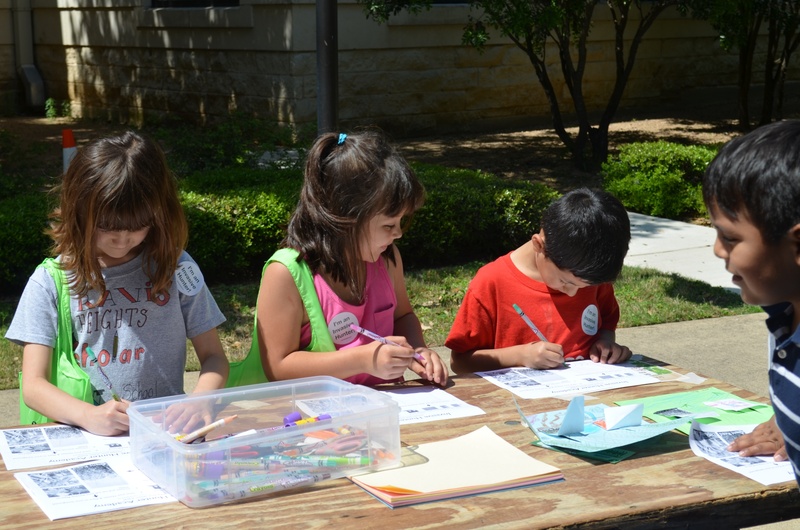 They are a generous sponsor of this event and many great environmental events around Austin, including Nature Nights at the Lady Bird Johnson Wildflower Center. I enjoyed collecting many stickers from HEBuddy to win great prizes when I was a young naturalist.